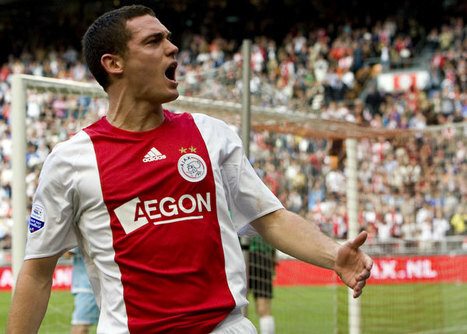 Is Thomas Vermaelen good enough for Arsenal? Arsenal are close to signing Thomas Vermaelen for around Â£10m. But will the highly rated Ajax centre-back turn out to be the new Tony Adams, or the next Philippe Senderos? From what I’ve seen of the 23-year-old Belgian (on YouTube mostly) he can’t properly be compared to either Adams or Senderos. Vermaelen is a much smaller defender (just 5ft11in), which may not play in the Premier League – even though Fabio Cannavaro, who’s shorter than Vermaelen by a couple of inches, has proved that you don’t need to be 6ft+ to thrive at the highest level. Still, I’m not sure Arsenal wouldn’t be better off buying a big, ugly brickhouse – someone in the mould of Nemanja Vidic or John Terry, who puts himself about, elbows and all: Fulham’s Brede Hangeland springs to mind. Why does everyone want Hangeland? A player that looks good in a team that defends on the 18 yard line and only has to win headers. Put him in an Arsenal team that defends up the pitch, send a ball down the channel for a quick forward and he’s a lumbering oaf that people moan at Wenger for buying. we dont need a defender that can score goals, we need a defender that can defend! we’ve got creative ball players, we need a big lump that knock seven lumps of **** out of the opposing team!! I think Arsenal don’t have to buy, but just loan a player. How about Christoph Metzelder? I agree everyone bangs on about hangeland but he is no better than Djourou or Toure and not worth anywhere near Â£15mil. but then again everyone always say they want vidic like he is some sort of defender that does not get made to look rather silly by eto’o or torres. and please no one that ‘puts himself about, elbows and all’ – We will leave that to the boltons of this world and stick to our beautiful game thank you very much. I agree with matthew, we need a big, hard, rock of a centre back!! Old or young don’t matter to me… what about Lescot? To be honest, there isn’t too many CB around for our price range. We also need a good, hard enforcer in the centre of the park. someone who will just break up opposition attacks and feed the ball to Cesc. Inler? Alonso? Matuidi? Man City’s Michael Johnson or de Jong or Kompany..? what u mean we need players like alonso or inler to feed the ball to cesc???? do you not understand cesc is the one that feeds balls to eddy and the strike force. also maybe Vermaelen is a good buy. but i mean we’ve got like toure gallas Vermaelen silvestre djoure and senderous. jesus thats a lot of centre backs and the majority are rather average. I was googling something and this article came up. With the benefit of hindisght, funny how now, there is pretty much no more argument about how good Vermaelen is, and how good he has been for Arsenal. GREAT BUY!